Chinese parents at the dinner table as the staff's performance, if there are elderly people at home, the old man like a "sea fishing hot pot restaurants," the waiter. We have seen many such scenes: the old man with trembling hands holding the bowl to the table again and again calling for children to eat; parents holding a bowl to catch the child; parents over and over again to urge children to eat at the dinner table . However, Chinese children with little expression of gratitude, and some are more impatient, I feel that these should be obtained. Chinese children have been taken for granted that these are even insensitive. Korean parents at the dinner table like the performance of the elderly. The youngest child at home, before each meal, to be busy press from the old order to the house and the young people who hold rice Duanfan Tim Rice, is completed, had looked straight ahead, sat respectfully for elders on the table, he said: "Thank you for giving me such a sumptuous meal!" South Korean children eat a Thanksgiving expression. American parents at the dinner table like a friend's performance. 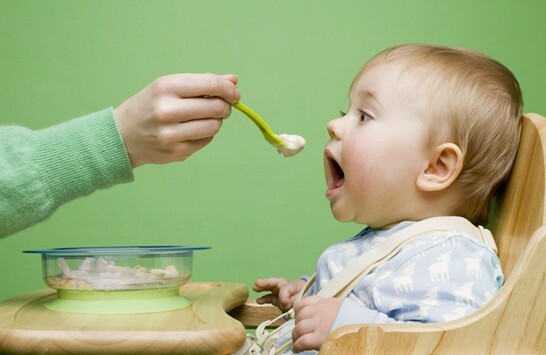 When a child can pick move spoon, parents not give children fed. Children like to eat what American parents only make recommendations as to the final is like a child to eat vegetables or meat, American parents are never matter, and how much food children eat, parents are more reluctant to meddle. In the eyes of the United States, children are beginning to be responsible for himself, he knows what he wants. As a result, when American children eat manifestations is an independent character. Family education focuses on "enlightenment" instead of oral education. Many failures family education in China is not that parents [microblogging] will not, "said," but parents do not know how to "enlightenment." Eating behavior and other living family education is the most frequent and effective enlightenment, however, many Chinese families in these areas are Absence. I do not think Chinese children should eat as South Korea or the United States as a child, but I want to say is that we do not ignore the enlightenment dinner table and other living behavior. Korean family at the dinner table is to educate children through the atmosphere, so that children do not know how grateful perception; American family at the dinner table is by habit to educate children so that children unconsciously learn to be independent and take responsibility.